We’ve not got a US release date for the new Transformers cartoon, Robots in Disguise, yet, but we do have an air date for the show in the UK and the date is March 7, 2015! 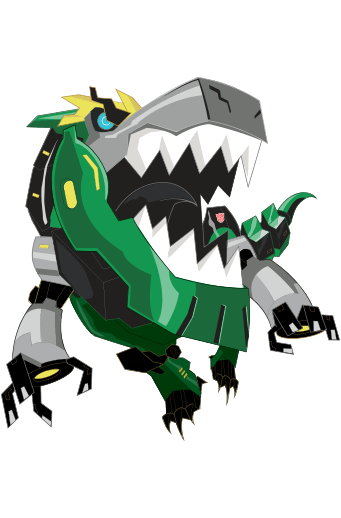 Like in the US, Robots in Disguise will air on Cartoon Network, and according to Toonzone, a press release sent out by Cartoon Network UK gives the premiere date as March 7, 2015. The show will be airing weekends, at 10:30am and 6:30pm UK time. It remains to be seen if this also carries over to the US. In related news, Starblight.de reports that Robots in Disguise will be airing on Nickolodean in Germany in March, though the exact date of airing has yet to be confirmed. I don't get Cartoon Network, I don't know what I'm going to do. It's really strange that other countries perhaps will be getting the show before the US. But who knows, maybe we're getting it the same day as France, or Germany, or who the heckie knows. I'm praying it keeps this timeslot, cause that's pretty solid. Knowing Cartoon Network it won't last more than 2 months at most. Also it's kind of neat the UK premiere is on my grandpa's birthday. Yes, sounds like good news, but definitely something to take under advisement until more legitimate sources agree closer to the apparent airdate. 10:30 and 6:30 every Saturday? That's some decent time slots, good stuff. We got two months to wait for it. One news story suggested the date would be March 9'th in the US. Hopefully, yeah. It's on CN in both countries for once, so maybe they'll wanna try and make it a simultaneous thing, or at least close together. Great. My children are looking forward to this. I really hope this is the real date…. By way of Toonzone reporter HellCat, we've found out the start date for the new Robots in Disguise cartoon in locations served by Cartoon Network's UK arm. A press release sent by Cartoon Network UK reportedly included the same episode summaries and information we've been hearing for some time, and then revealed that the show would begin broadcasting on Saturday, March 7th, and will continue to air every weekend at 10:30am and 6:30pm. Will this end up being before US airing begins? We'll just have to wait and see!